Let the incredible asymmetry of nature surprise you! 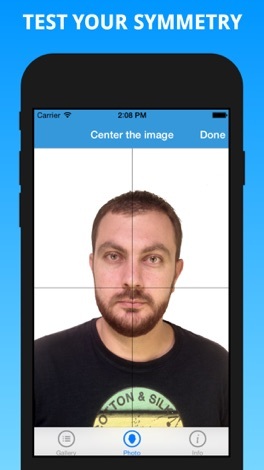 Find out, with just one click, what the appearance of your and your friends' faces would be, if the right and left side were perfectly symmetrical. The result will amaze you! 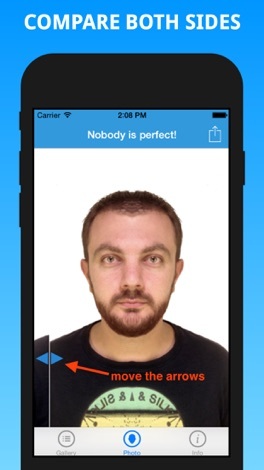 - MINIMAL GUI: tap twice on the screen to take photos, move the arrows with your fingers to see the right and left side of your face. - SHARE: Share your best photos with your friends on Facebook and Twitter or send photos to everyone by E-mail just with one click. It's fast, easy and funny, impress your friend! 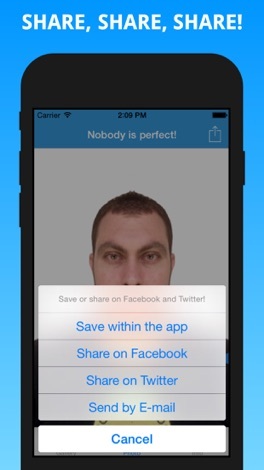 - SAVE: Save your photos inside the app and in iPhone gallery to get it back whenever you want. Keep track of all your best shots, keep track of your imperfection! Lasciati stupire dalla sorprendente asimmetria della natura! Scopri, con un solo click, quale sarebbe l'aspetto del tuo volto e di quello dei tuoi amici, se i lati destro e sinistro fossero perfettamente simmetrici. Il risultato ti sbalordirà! 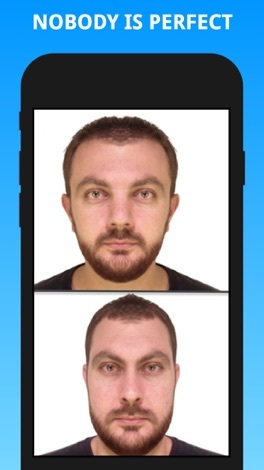 - INTERFACCIA MINIMALE: fai doppio tap sullo schermo per scattare la foto, muovi le frecce con le dita per vedere i lati sinistro e destro del tuo viso. - CONDIVIDI: condividi le tue migliori foto su Facebook e Twitter o invia le foto a chi vuoi tramite E-mail, con un semplice click. E' facile, veloce e divertente, stupisci i tuoi amici! 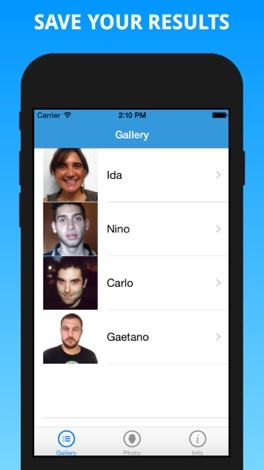 - SALVA: conserva le tue foto all'interno dell'app e nella galleria fotografica dell'iPhone, per averle disponibili quando desideri. Tieni traccia delle tue foto migliori, tieni traccia della tua imperfezione! Ahoy Pirate! You who sail across the seas in search of chests full of treasures, try to open up the right chests with your few precious keys. And please, use with acumen the various sophisticated tools you’ve been offered to multiply your chances of fortune! Accumulate wealth, improve your score, pass your friends and become the LUCKIEST PIRATE!